This morning I had a chance to see Captain America: The First Avenger, and it was freakin’ awesome! I absolutely loved the film, and there's no doubt in my mind that you will like it as well. After the movie ended we got to see a great little clip of some footage from The Avengers, and it really got me excited for the film! The footage played through so fast and there were so many short clips and shots of awesome stuff that flashed before my eyes. Most of the footage pretty much revealed a lot of the new costumes that will be wore by members of The Avengers, and they look awesome! To give you a little tease of what to expect, here are a few things from Marvel worth checking out. Above you’ll find a photo from the Marvel Booth on the Comic-Con convention room floor showing off Captain America’s modern day Avengers battle suit, which is such a cool design! If I had one, I would wear it around just for the hell of it. 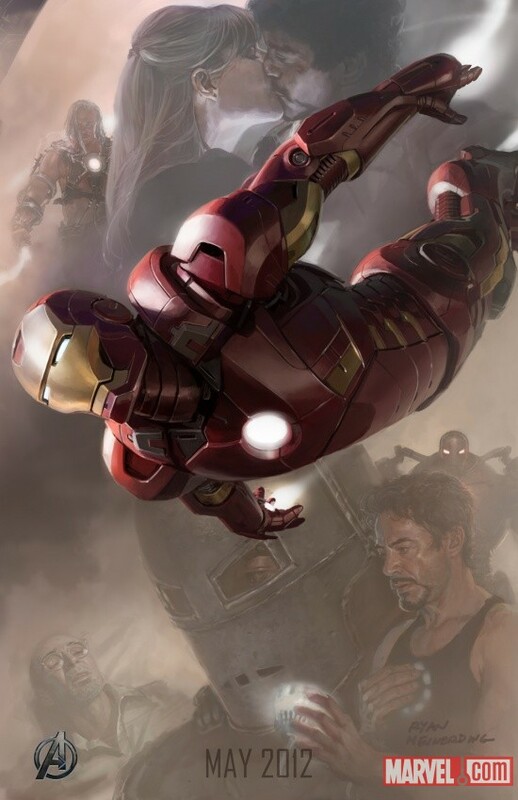 And below you will find two piece of promo art from Ryan Meinerding and Charlie Wen for The Avengers as well that shows off Iron Man and Captain America. These are being given out over at the Marvel booth. 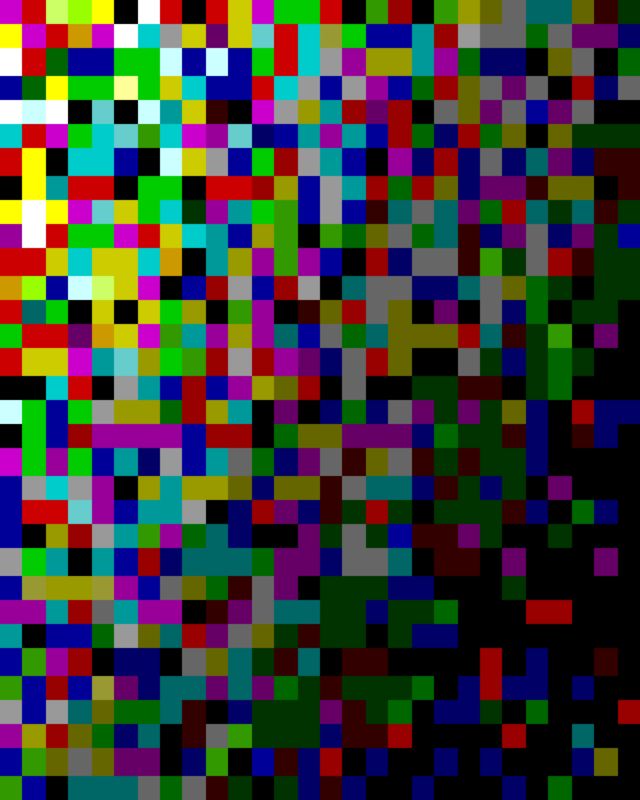 Check out teh images and tell us what you think! 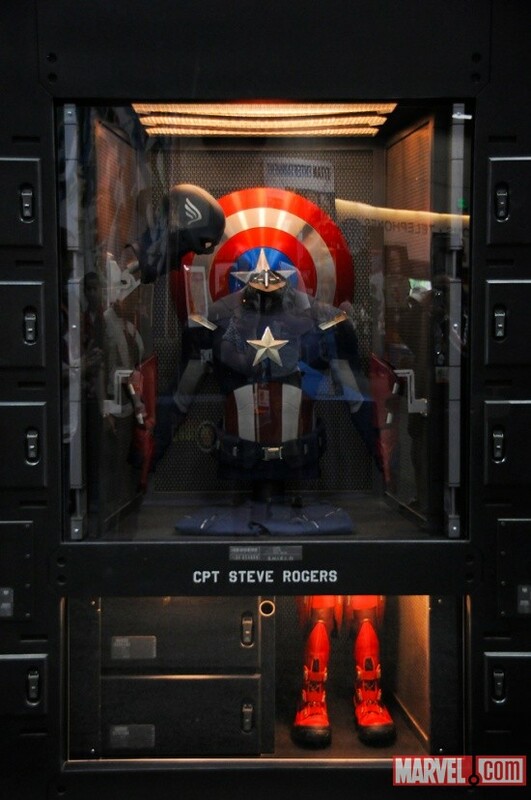 CAPTAIN AMERICA: THE WINTER SOLDIER - New Comic-Con Concept Art!